Jim D: There are bits in this game where you need to do nothing more than stare out of the window for 8 or 12 minutes. The challenge comes from maintaining concentration on doing nothing for that long, without then forgetting to reduce your throttle by 5% when those 8 minutes are up. Weirdly fun, pretty zen, and unlike anything I’ve done in a game before, so for that reason it gets a strong vote. Princess TamTam: I’m starting a railworks clan everyone. Please add ==LoCo-Motive to your gamertags. Jamescobo: Arguably the prettiest game in this entire list. Forksclovetofu: A Feudal Japan sandbox game where you can wander the countryside like Toshiro Mifune in search of the next town to save or ravage? I gotta pick this up soon. Jamescobo: Way of the Samurai 3 is an assload of fun. Reviewers who initially denied the game its due thanks to the admittedly unspectacular presentation (it doesn’t look bad or anything, but it’s certainly not a title you use to show off your HD rig) somehow managed to block out all the advancements in scale and scope the series took with this game. 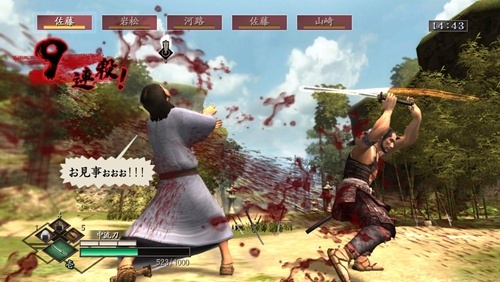 Think of it as an open-world consequences simulator; every action you take, from which NPCs you choose to help to which side of your sword’s blade you choose to use, plays out somewhere down the line in this game, and since it’s designed for multiple play-throughs (multiple endings, branching paths, timed/unique NPC interactions, etc.) the smallest things can end up having major effects on the path you take through the game. PLUS, the swordplay is stupidly fun – it’s not the most intuitive setup going, but once you get the hang of it the game bends over backwards to give you opportunities to feel like a Kurosawa-esque badass. Basically it’s Heavy Rain + Bushido Blade; in retrospect I should have voted it much higher.